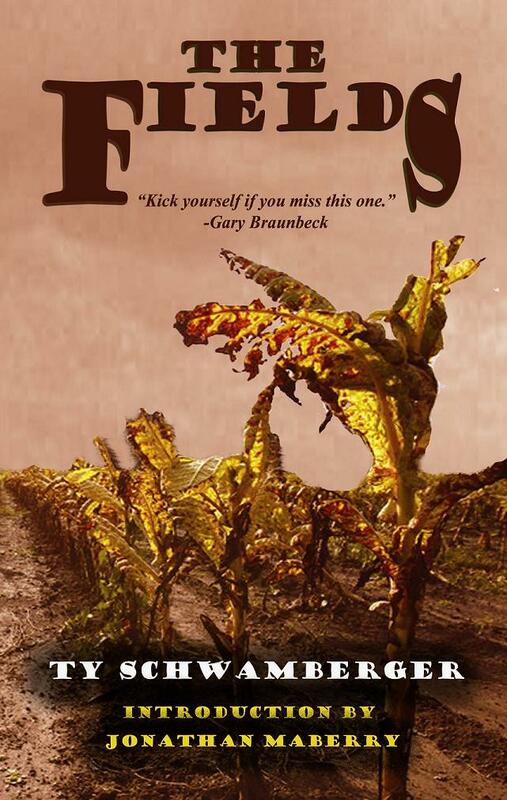 Gothic Readers Book Club Choice Award-winning novella, The Fields, is set to go Out of Print on October 31st. Published by Apex Publications’ The Zombie Feed Press in late 2011, it was released in Trade Paperback & various eBook editions. It was later released in Audio Book by Cup O’ Tea Productions in June 2012 (this edition will remain available after 10/31/13). If you’ve been on another planet for the past two years, and haven’t heard about this very atypical zombie tale, below is the synopsis and blurbs for the novella. Billy Fletcher learned to farm the family’s tobacco fields – and beat slaves – by the hands of his father. Now, his father is dead, the slaves have long since been freed, and the once-lush fields are dying. Salvation by the name of Abraham knocks on the farmhouse door, bringing wild ideas. He can help Billy Save the plantation and return the fields to their former glory… by raising his father’s slaves from the dead. Can the resurrected slaves breathe life back into the Fletcher farm? Having brought the slaves back from graves that his father sent them, can Billy be the kind master his father wasn’t? Is keeping the farm worth denying the men the freedom they earned with death? Go check out the book trailer, then head on over to Amazon to pick up this soon-to-be Out of Print zombie novella.